Finding right GPU is really hard, maybe even the hardest part of building good gaming PC. Especially if you are on a budget and you need to pick wisely. 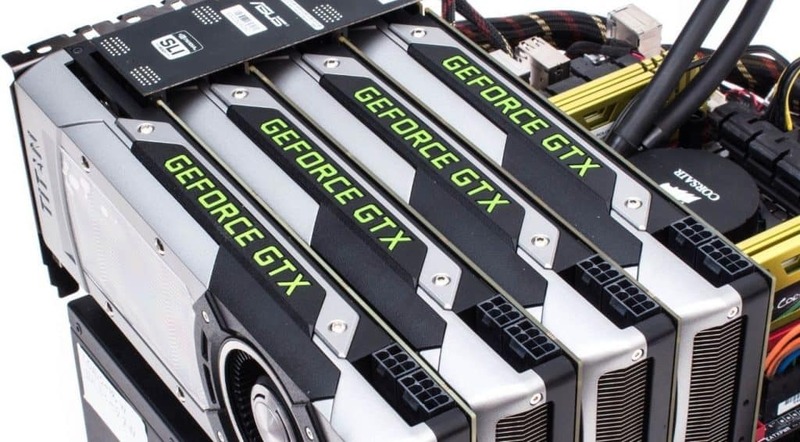 Picking the best graphics card under $100 or $200 can be a little hard, but it is doable. Today, I will show you what are the best graphics card under $100 or $200 dollar. I will help you to make the right choice and leave with great GPU for the price tag. Also, you will see performances of every card, which is in my opinion, the best thing to look for. What Is The Best Graphics Card Under $100 or $200 Here? Prices of this model are going crazy. I chose XFX because it was worth the price of around $100. You can probably find it on sale, but if you can’t, spend around $50 more on it, it is definitely worth the extra! For this price tag, you are getting a lot. First of all, you are getting 4GB GDDR5 memory, which is more than enough for 2019. There is also a 2GB option, but my advice is to stick with 4 GB because you want to think long-term. The main audience for RX 460 are gamers that play eSport games like League of Legends, Dota 2 or Counter Strike Global Offensive. But don’t worry, you can play everything with this card on 720p or even 1080p resolution. As I said I love this GPU but at the end of the day, only performances and results are important. As you can see, these are some pretty great results for this price tag. Next on the list is GTX 1050. Another really great GPU for this price tag, this time, from their main competitor. I think gigabyte model will be the best because of the price and look. One of the differences with this GPU is a memory. It comes with 2GB GDDR5, but you shouldn’t be worried because it will be enough by today’s standards. But, if you want to buy don’t like Radeon, and you want 4GB of memory, you can go with 1050 Ti. It is the older brother of 1050. With that beast, you will get 4GB and about 20 FPS more in games. But, it is more expensive. My advice is to save money for that monster. As with RX 460, 1050 is mainly for people that want to play eSport titles. Of course, you can power up some high-end games, in medium or even high settings. You will see a table with gaming performances of this card, and you will be surprised. Let's take this bad boy on the test and see what power it is hiding. I will immediately say to you that this GPU won’t give you as much as others on the list. That is mainly because of the price. In most cases, it is around $100 which is really great for everyone that is on budget. You are getting 2GB GDDR5 memory with gaming mode. It means that it is already overclocked, and that is awesome because you will get a couple more FPS. My advice is to save money for something better like RX 460 or GTX 1050, but if you have very limited amount of cash, go with this. You will be able to run every eSport title on 1080p with medium-high settings. But, for some more serious games, you will need to lower it or put on 720p. You can see everything on the table. This is GPU on the budget and keep that in mind. As I said, great for eSport games. Well, my choice is Nvidia GeForce GTX 1050 2GB. It is the perfect card for this price tag. Also, this is the only Nvidia card on this list. If you want something better than it, and you are ready to pay more, go with GTX 1050 Ti. For little more money, you are getting more FPS and 4GB of memory. If you don’t like Nvidia, and you really want to go with AMD Radeon, go with RX 460 from XFX. It is really better than RX 550. As I said above, I chose XFX because it is the cheapest model right now on Amazon. It also comes with more memory, 4GB vs 2GB. Last but not least, RX 550. If you are really on the budget, and you can’t spend much, go with this card. It will be more than enough for eSport titles like League of Legends, CS: GO or Dota 2. It has enough memory for that, and also it is OC right out of the box. Big plus! This is a really big question. As I said, my choice is Geforce GTX 1050 and I will explain you why. It isn’t because I am GTX boy or something similar (I have R9 390 on my PC), it is because it has better performances. The main reason is gaming performances. You are getting more FPS in every single game with GTX 1050 than with RX 460. That’s a fact. And if you are not satisfied with that, I don’t know what to say. With most games, you get 10 FPS more, but in some titles, you can get even 20 FPS more which is insane. Last thing here, price. They cost pretty much the same, but in my experience, you can find GTX 1050 for less money. All after all, if you don’t hate Nvidia, go with it. You won’t make a single mistake with that purchase. After all beauty and fame, results are the most important thing here. Tests show that the graphics card under for this price arrange is Nvidia GeForce GTX 1050. It is all you need if you are building budget gaming PC. I also have an article about best PCs under $500 and GTX 1050 is in it. You will be able to play most games on medium-high settings with good FPS. But if you want to use it for Esport titles, you will get 100+ FPS in every single game. And I think that is awesome. If you like this text, or you have something to add, please let me know in the comment area. Also, let me know your thoughts on what is the best graphics card under $100 or $200?